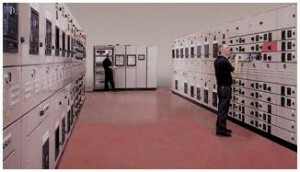 P & I Design has extensive experience in providing PLC/SCADA controls for high integrity power systems for both the telecommunications and other critical users e.g. Nuclear industry and hospitals. We have worked with many of the major switchboard and generator companies throughout the UK, Ireland and Europe, in providing high integrity power solutions. We have developed standby power solutions, prime power systems and peak lopping systems. We often work directly with the end user in a consultancy capacity, resulting in us being a named sub-contractor in the main contractors tender package. This ensures a known and well defined solution regardless of selected contractor. We can take the design through from functional definition to on site commissioning. We can offer 24/7 support contracts to support an installed solution.